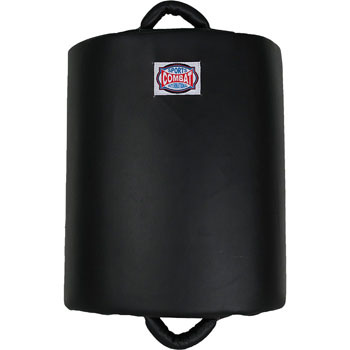 The Combat Sports Cuved Kicking Shield is an innovative training tool presented to us by Combat Sports International. The contoured curve on the Kicking Shield simulates the striking surface of the upper thigh. Constructed with premium synthetic leather, the wrap-around design offers increased protection and control over the conventional Thai Pads/kicking shields with the impact dispersing multi-layer foam construction for maximum protection. The Combat Sports Cuved Kicking Shield is available at MMA Warehouse.